The owl lives in the dark and dirty places and its sharp and fearful hooting is termed inauspicious throughout the world. In Britain its rough and dreadful voice is considered unlucky. In South Africa it indicates death. 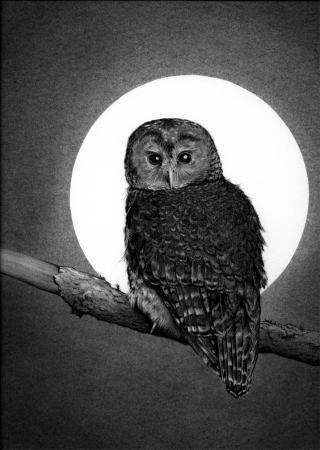 In Canada three days of regular hooting of an owl foretells death of a family member. In China the hooting of an owl denotes death of a neighbor. In Greece and Rome its hoot is taken to bring misfortune. In New Zealand its hoot during consultation is considered bad but it is termed auspicious for war consultations. It is considered as a sign of success and prosperity when an owl flies overhead. In Turkey the white owl’s hoot is considered auspicious whereas those of other owls are considered a bad omen. 1. If an owl sits on a house top or on the head of a man it indicates destruction. 2. Seeing an owl on the left side is considered a good omen. 3. The hoot of an owl heard on the right side is good. To see an owl behind a traveler is a good omen. 4. If a man sees two owls mating, his life will be shortened. 5. The claws of an owl are very auspicious for gain of money, if they are kept in the house or in a cash box. 6. The owl’s bones are used for causing a rift between two persons.